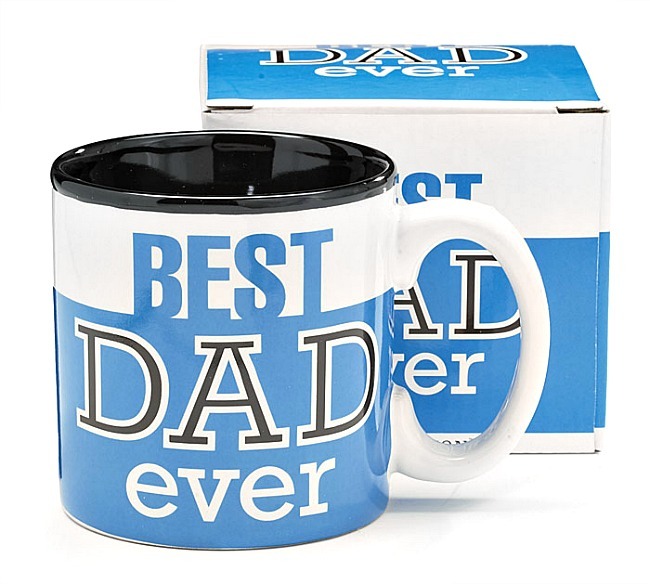 Wide blue band around with "Best Dad Ever" message on Ceramic Mug with black interior. 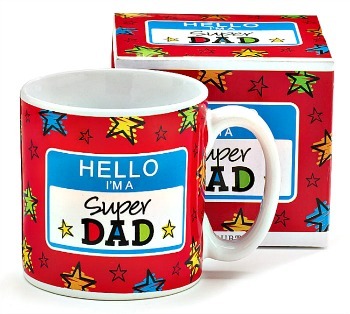 Includes printed gift box. Holds 13 oz. Dishwasher and Microwave Safe.